PITT MED - Between 2000 and 2015, the number of maternal deaths and near-deaths in the United States rose by 25 percent. And African American mothers are four times more likely to die or nearly die as a result of pregnancy than white mothers. Ways to address racial disparities in maternal mortality and morbidity, according to EPI's Dara Mendez, is to focus on institutional equity and call out racism as a core element. 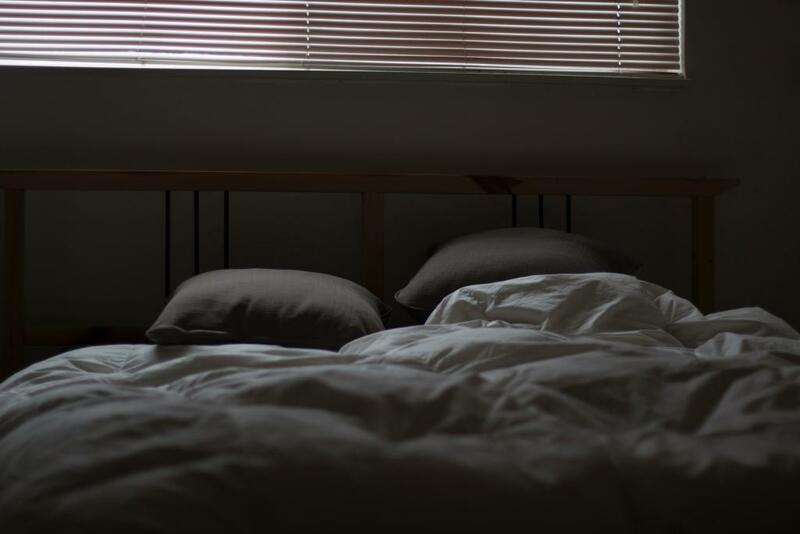 MEDICAL DAILY - In a new study led by EPI's Jane Cauley, sleeping over or under the recommended length was linked to a 25 percent increase in odds of experiencing recurrent falls. "Falls are an important public health problem among older adults and lead to moderate to severe injuries. Most fractures occur because of falls, and recent evidence shows that mortality from falls in the U.S. is increasing," said Cauley. THE FISCAL TIMES - When drug giant Pfizer announced in July that it would roll back price hikes on its drugs, it made clear that the change was temporary. The company said Friday it is planning to raise the list prices on 41 of its drugs effective January 15. “The drug price pledges made earlier this year were just for show — it was obvious at the time, and it's obvious now,” said HPM's Walid Gellad. WESA FM - For the first time since 2013, taxpayers won’t be penalized for not having health insurance. 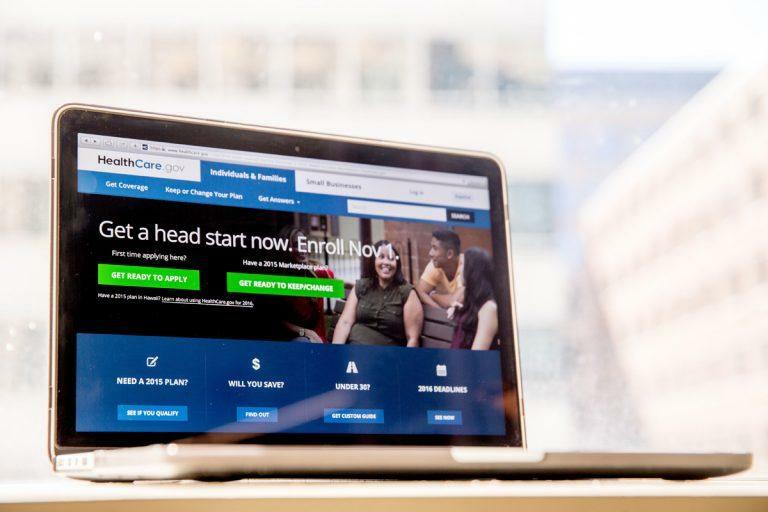 Some people might decide ACA-compliant coverage isn't something they need and instead might select a lower-cost “skinny plan.” HPM's Eric Roberts said it’s important to read the fine print before choosing this type of insurance. 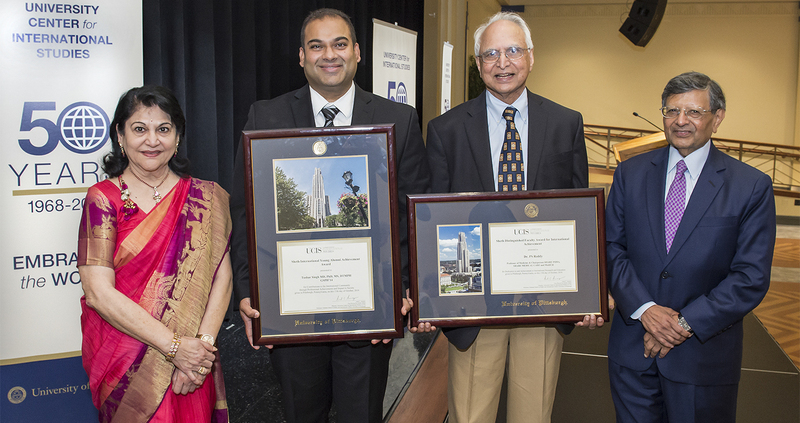 PITTWIRE - Research duo Tushar Singh (EPI '14) and Pitt Medicine's P. S. Reddy accepted the 2018 Sheth International Achievement Award, which is given every year to a Pitt faculty member and alumnus who are increasing Pitt’s global footprint with their work. Singh referred to EPI's Anne Newman as a close friend and mentor. Singh admitted lacking confidence in himself in early years, but said that Newman always encouraged him. APHA - Mara Hollander (HPM) presented a poster titled Financial Relationships with Pharmaceutical Companies are Related to Increased Opioid Prescribing at APHA's 2018 annual meeting. Hollander matched Medicare Part D claims from Pennsylvania clinicians with 2014 Open Payments data. The final sample included approximately 12,500 PA providers who had at least 50 opioid prescriptions and 10 beneficiaries. APHA - Professor Thistle Elias (and alumna, BCHS '12) and doctoral student Yuae Park (BCHS '20) share their research examining the barriers preventing some participants in the WISEWOMAN (WW) program from implementing healthy lifestyle changes at APHA's 2018 annual meeting. The researchers interviewed 9 WW clients that perceived as many as seven barriers to participating in lifestyle programs. APHA - Doctoral student Abigail Cartus (EPI) presented a poster at APHA's 2018 annual meeting titled Neighborhood-level housing characteristics and birth weight in Pittsburgh, PA, 2009-2013. In this study, Cartus, EPI professor Dara Mendez, and colleagues analyzed data on all singleton births in the city of Pittsburgh, PA from 2009-2013 in relation to neighborhood-level data from the 2010 Census. 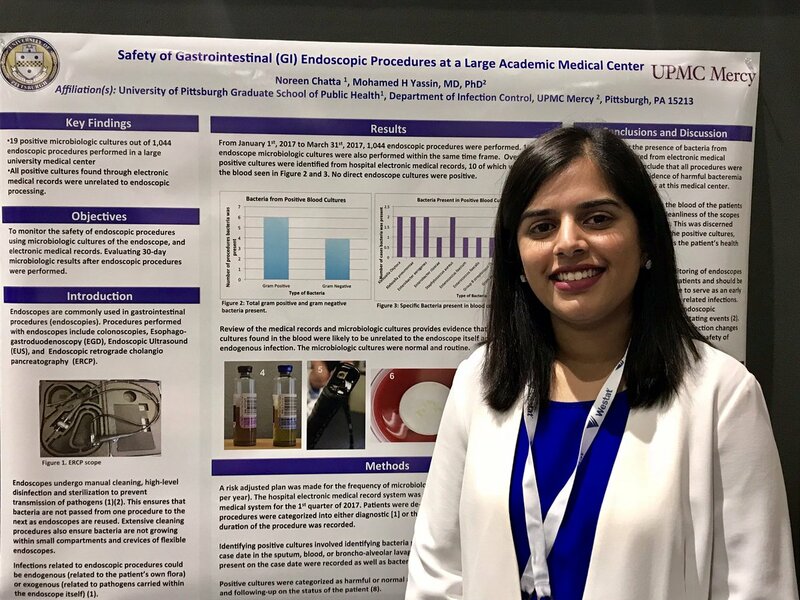 APHA - Noreen Chatta (IDM) presented her research on Safety of Gastrointestinal (GI) Endoscopic Procedures at a Large Academic Medical Center during a poster symposium at APHA's 2018 annual meeting. In this study, she assessed and monitored the safety of endoscopic procedures using microbiologic cultures and electronic medical records, evaluating for 30-day microbiologic results after endoscopic procedures. 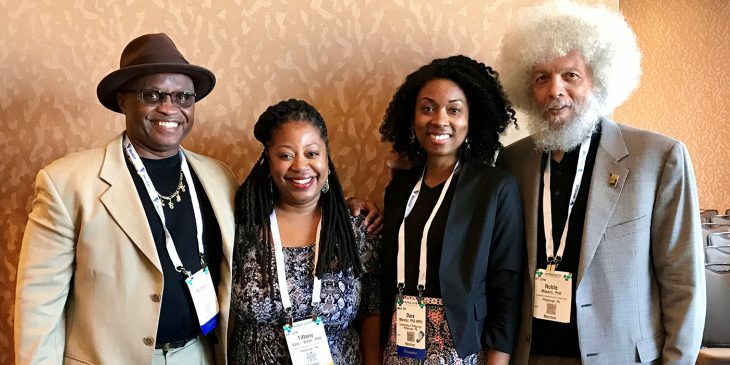 UPMC - When BCHS's Tiffany Gary-Webb helped develop the “Health Equity Now” theme for this year's APHA annual meeting, she realized that Pitt Public Health had something special to contribute. She organized a session titled “Health Equity for African American Populations across the Lifespan" to share the breadth of groundbreaking research and partnerships the school has formed in the past several years. U.S. NEWS AND WORLD REPORT - Pitt researchers analyzed the results of a 2014 survey of just over 1,600 teens, aged 14 to 19, in Allegheny County and found that 13 percent said a friend or family member had been murdered. Teens who lose a family member or friend to murder have an increased risk of suicide, and black teens are most likely to face this kind of heartbreak. Authors on the study include BCHS's ELIZABETH MILLER and ALISON CULYBA. REUTERS - Even though there are still a lot of unknowns about the effects of marijuana exposure in the womb and from breast milk, research to date still suggests that pregnant and nursing women avoid cannabis. Earlier studies "were conducted when marijuana was not as strong as what is currently available, so we are probably under-estimating the effects of prenatal marijuana use on offspring development,” said EPI's GALE RICHARDSON. INFECTIOUS DISEASE ADVISOR - Chronic pain is a frequent comorbidity in people living with HIV and may adversely affect antiretroviral therapy adherence and retention in care. A recent study provided useful insights into the complex interaction. When asked about the main takeaways, BCHS's JESSICA MERLIN said "I hope that this means that HIV providers and researchers will pay more attention to this important problem." MEDICAL XPRESS - Previously incarcerated transgender women can find themselves caught in a cycle that leads to repeat jail time. A new analysis of Allegheny County identifies potential solutions that could lead to transgender women being more successfully reintegrated into society. 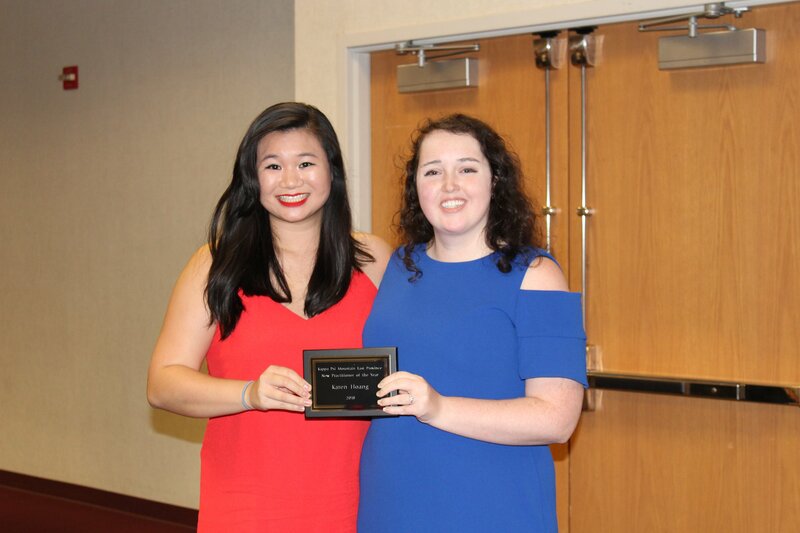 "I think we are having a moment right now where the needs of transgender people are more visible," said STEPHANIE CREASY (BCHS '17). REUTERS - The vast majority of violent injuries seen by doctors in emergency rooms are not reported to police, a new report suggests. “The brilliance of this article is it shows that if we do not link these two kinds of data we’re never going to have a full and accurate account of the level of violence in a community,” said BCHS's STEVE ALBERT.